Getting a new dog can be a wonderful and rewarding experience. It is also a big responsibility. Whether it’s a puppy or a full-grown dog you are getting, if you are planning to have him as an indoor dog, you will need to housebreak him. 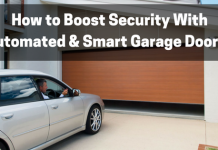 You are probably thinking that a big dog would be easier to housebreak because older dogs will learn quicker. This is not always the case. Older dogs that are not already housebroken have probably spent most, if not all, their time outdoors and, therefore, relieved themselves wherever and whenever they felt the need. Their patterns may have been set for them for months, if not years. This is not to say it’s impossible to housebreak an older dog. It’s just a matter of showing them another way. The advantage of an older dog is that they are able to “hold it in” for longer periods than a puppy. The one thing puppies and older dogs have in common is their desire to please their master. This is the key to most dog training, specifically house breaking. For the sake of this manual, I will be talking about housebreaking (which I will refer to as potty training) a puppy. Later, we will get into housebreaking an older dog. -Your puppy WILL have some accidents in the house at some point. -Your patience and constant praise will eventually be rewarded. -No two dogs are the same so don’t expect the same results out of each dog at the same time. -From the time they are old enough to “go potty” they go when they feel the urge. It is up to you to show them where they need to go. -Do not allow your puppy to drink or eat within a couple hours of bedtime. You don’t want to make things any harder than they need be for him. There are three major methods of house training your puppy, the Direct Method, the Paper Method and Crate training. The Paper Method is probably my least favorite of the three, but for some people, it is necessary and, due to living arrangements, works best for them. An example is a family that lives in a high-rise apartment building where they may not be able to get outdoors quick enough for the puppy. There are different circumstances or living habits in each household that will determine which method is going to work the best. It’s not necessarily a matter of which training method is better rather than which one fits into your lifestyle the best. You will need to designate one room for the Paper Method, preferably a small room. 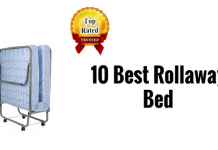 Many choose to use the bathroom or a small, unused spare room. It will be great if the room is uncarpeted or tiled, as this will avoid a lot of cleaning on your part. A puppy can begin his training as young as 6 weeks, which is usually the age they leave their mother and go to their new home. Cover the entire floor of the room with newspaper. Shortly after the puppy has finished eating each meal, take him to the room, and place him on the paper. After he has defecated and/or urinated, praise him and take him out of the room. This is a good time to have playtime with him so he will see you’re happy with him. It’s always important to remember to praise puppy when he does what is expected of him. Remove all the paper from the room with the exception of one sheet. Lay down fresh newspaper on the floor and place the one old sheet on top of the fresh newspaper. For the first few times or even days, you may have to take him to the room. Remember that a dog’s sense of smell is his strongest sense-much stronger than ours. The next time you take him to the room and he needs to go potty, he will be able to ‘smell’ where he was last time, and he should return to the same spot in the room. If he doesn’t the first time, have patience and remember he’s still very young. Once he starts repeatedly going to the same spot, reduce the amount of floor that is covered with paper, but make sure to keep “his spot” in the same area in the room. After the first couple of days, the room should only be half covered with paper. If he starts to wander off his spot and starts to go somewhere else, scold him gently and put him back on his spot. A gentle, “no” should suffice. Never yell too loudly or it may frighten your puppy so he is afraid to relieve himself in front of you. Housebreaking should not be a frustrating experience for you or your puppy. Keep removing more and more paper each time until he is left with just one sheet of paper on the floor. Once you have less paper on the floor, you will have to watch him very carefully to catch him in time and prevent an “accident”. Most accidents are not the puppy’s fault, but the master who wasn’t paying attention. Always be sure to bring puppy into the room when he has finished eating as this is the time they are most likely to need to relieve themselves. This is not the only time they need to go potty. As soon as puppies wake up in the morning or after a nap, they usually stretch, and look for a place to go potty. Immediately after playtime is another good time to take them to their room. If they donâ€™t immediately go potty, wait a couple of minutes. However, don’t stay in there indefinitely as this may confuse them as to the purpose of this room. They may not always have to go immediately after eating. If it looks like he is not going to go potty or lays down for a nap, take him out of the room and watch him closely. In a little while if he starts to walk around sniffing the floor (a sure sign of what’s about to come), quickly pick him up and return him to his room. Also, always remember to take them out of the room as soon as they have gone potty (while praising them, of course!). Your puppy should never associate “the room” as anything other than the place he “does his duty”. This whole process usually takes between 2 and 4 weeks. Once the puppy is paper trained, this can be the training method that stays with him all his life. Alternatively, some people use this as a temporary training if they get the puppy in the winter. Then when the weather is warmer, they begin outdoor training. I don’t like the paper-training because I feel it is confusing to teach the puppy this and then have to teach him to go outdoors all over again. Others say they don’t like the odor inside the house, but for some people there is no other choice. Urine is an odor that is sometimes very hard to get out completely especially in carpet. It may appear to be gone, but with the dog’s strong sense of smell, he may still be able to smell it. If this is the case, he may still return to this room, from time to time, to go even after he has been trained to go outside. It is, also, a matter of personal preference as to which method to use. The Direct Method is more of a permanent type of housebreaking a puppy. The strategy is the same as for the paper method as far as when to take your puppy outside. Little puppies need to go potty often. It may seem like they just came inside and they need to go outside again. However, they are also creatures of habit. 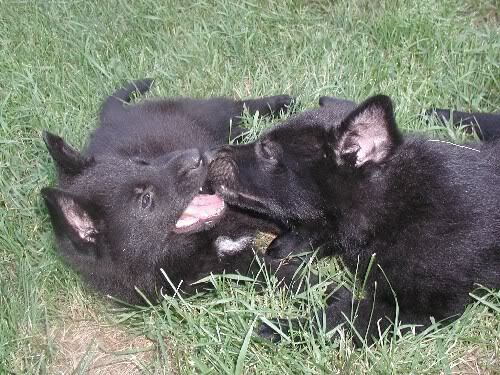 Their behavior is also very repetitive as far as eating, sleeping, playing and going potty. As soon as puppy wakes up, take him outside so he can relieve himself. As soon as he does, praise him and take him inside. If he doesn’t go potty right away, take him inside, watch him and take him outside every hour or so until he goes. Activity and excitement such as playing will give the puppy a need to relieve himself. If you’ve had puppies before you’ll remember them playing nonstop and not even thinking about going potty. The minute the playing stops, however, they seem to instantly start sniffing the floor and looking for a place to go. The same goes for after a car ride or after he eats. It is a good idea to try to get him to go before you put him in a car for a car ride. As I said, they are creatures of habits and repetitive. Most of all, they need consistently. The more consistent and patient you can be with your training, the sooner the training will be complete. Puppies are usually fed 2 times a day so they are going to need to relieve themselves quite often. Vets often recommend that puppies have fresh food and water available at all times. This is not a good idea during the housebreaking period. I recommend putting your puppy’s food down for him to eat, give him twenty minutes to eat it and then remove it. It is better that your puppy get in the habit of eating at a certain time. It will be easier for the housebreaking, too. If the food is always available to the puppy, you may not know when he eats it. If you don’t know when he ate it, you won’t know when to take him outdoors. When your puppy is done eating, wait about 10 or 15 minutes and then take him outside. Once your pup is housebroken, you can change the availability of his food if you wish. It’s important that when you take your puppy outside to do his duty, you not let him stay outside to play. We all know how much puppies love to play and how cute they are, but playtime can come later. He needs to associate going potty as the first thing that he needs to do when you take him outdoors. When in the house, try to keep your puppy close to you so you can always see him if he is about to go. If he has an accident in the house, scold him gently and immediately take him outside. It is a good idea to wipe up his “accident” with paper and put the paper outside in the spot where you want him to go. Always remember to praise your puppy when he does what is expected of him. When you see your puppy go stand by the door by himself for the first time, praise him and take him outdoors immediately. Puppies can’t hold it if for very long. Many times a puppy has went by the door to be let outdoors only to be unseen by the master. They then go potty on the floor and the master gets frustrated and upset with the puppy. If there is somewhere in your yard where you want your puppy to relieve himself when he is a full-grown dog, teach him to go there as a puppy. Some people use the word “potty” or “pee” (or whatever word they prefer) each time they take their puppy outside. This is a helpful training tool for when the puppy is older. The dog learns the command and will go immediately when he hears the words. There are many old time methods of house breaking a puppy, one of them being rubbing their nose in the urine or feces. I don’t believe this serves any purpose other than to make the puppy afraid of you and of relieving himself. He should not associate a part of nature as something to make him ashamed or fearful. He just needs to learn where to do it and when. Once again, most of the accidents in the first week or two of training are caused by negligent on the owner’s part such as feeding or watering him before bedtime or leaving him on his own too much. Nothing makes a puppy or dog happier than knowing he is making his master happy. The sooner he learns what is expected of him, the better off you both will be, and this is the period of dog ownership when dog/owner bonding begins. Paying special attention to how long your puppy can hold it inside will be helpful as well. A good rule of thumb is that a puppy can hold it one hour for every month of age. For example, a 3-month-old puppy should be able to hold it inside for 3 hours. Because each dog is different, you may want to pay attention to your individual dog’s needs. Crate training, to many people, is a fairly new method of housebreaking a puppy or dog. It is by far the easiest and quickest method for you and puppy. Years ago, dog crates were very uncommon as more dogs were kept outside and slept in doghouses. In recent years, dog crates have become very popular for house breaking and as an indoor house for your dog. Crates run anywhere from $25 up to a couple of hundred dollars depending on the size and style. This may seem expensive, but it will last the life of your dog and is more than worth the cost. There are metal crates and plastic crates. I prefer the plastic crates with the metal doors and ventilation windows on the side. They are lightweight and can be taken apart for traveling. 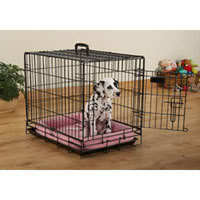 The crate should only be big enough for your dog to stand up, turn around comfortably and lie down as a full-grown dog. Lying down is what he will be doing when he is in his crate. When you put your puppy in the crate for the first time with the door closed, he will whine and cry. Trust me, this will change and it will become his safe zone and happy home. There will come a time when you will wonder how you ever could have gotten along without the crate. If you have a puppy that will grow up to be a large dog like a collie or German shepherd, you will have a large crate. You may want to block off part of the crate during the housebreaking period. If the puppy has too large of an area, he may be able to relieve himself at one end and still go to the other end to play or sleep. This is unusual, though. 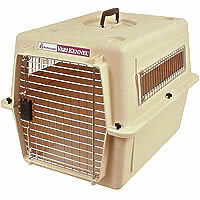 This crate will be like your dog’s den and dogs usually will not mess in the area where they have to lay or sleep. There are occasional times when this does happen, but this is usually a case where the puppy was kept in there too long, was fed or watered before being put in there, or they may have been a medical problem. If your puppy is in the crate and begins to whine, he may be telling you he needs to go out. Take him outside and if he doesn’t go, put him back in the crate. In all my years of training dogs, I have never had a dog or puppy urinate or defecate in their crate. If your puppy does seem to have more than the occasional accident in his crate, you may want to speak to your vet to see if there is a medical problem where he can’t hold it in for long periods. Keep your puppy’s toys in the crate so puppy will want to go in the crate. Training will be more difficult if the puppy struggles every time you try to put him in the crate. You may want to feed him in the crate at first too. Many people keep the crate in the living room or kitchen so the puppy does not feel isolated when he is spending time in his crate. The crate should never be used as a punishing tool, specifically in the housebreaking stage. As soon as the puppy wakes up in the morning, take him outside to relieve himself. If you have to leave him home alone, he should always be kept in the crate and taken out immediately upon your return. He will be waiting patiently for you to let him out so he can relieve himself. When you see him getting ready for a nap, put him in the crate again letting him out as soon as he wakes up. 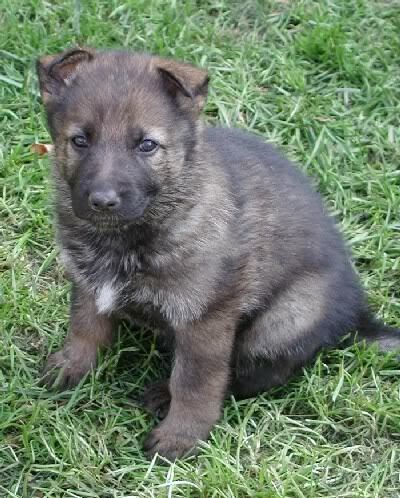 It won’t be long before your puppy will know that he needs to go outdoors when he has to do his duty. Crate training is the easiest of methods because you always know where your puppy is at all times. There will not be any accidents around the house that you may find at an inopportune time. The bonus for your puppy is that he is learning where his bed is and will come to love it. Here, again as with puppies, you may want to put him in the crate next to you during the day for a little bit. You can talk to him and reassure him through the crate. It helps when crates have openings or windows on the side where the dog can see what is going on around him. When I first started crate training my dogs years ago, I thought they would never use them. Now as adult dogs, they love them and would be lost without them. My oldest dog goes in her crate if she wants “quiet time” to herself or just to take a nap. At bedtime, she jumps on my bed with me for a few minutes until the lights go out. She then jumps off my bed and heads for her crate until morning. I don’t have to shut the crate door-she stays in there on her own. Training the adult dog may seem like a bigger job. The part that is bigger is the mess they make in the house! Remember your dog has always gone potty outside wherever and whenever he feels the need. 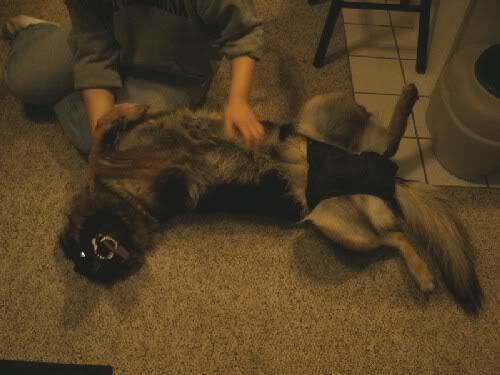 Now that he is an indoor dog, it is an adjustment for him to not be able to just relieve him whenever and wherever. The positive part is that adult dogs are better able to hold it inside for longer periods. If you are crate training (which is the best way with an adult dog), he may cry, whine and even bark the first few days he is confined to the crate. While this may become distracting and annoying, it is vital that you not give in. One male adult dog barked every night for almost a week and squirmed around so much that the crate moved! Usually once the lights were out, the noise subsided after awhile. When you go to bed, he should be put in the crate and left there until morning. To help him adjust to the crate, put him in the crate during the daytime and go outdoors or leave the house for an hour or so. Put a couple of his favorite chew toys in the crate with him to keep him happy. As soon as you return, let him out of the crate, pet him, praise him, and put him outside until he relieves himself. 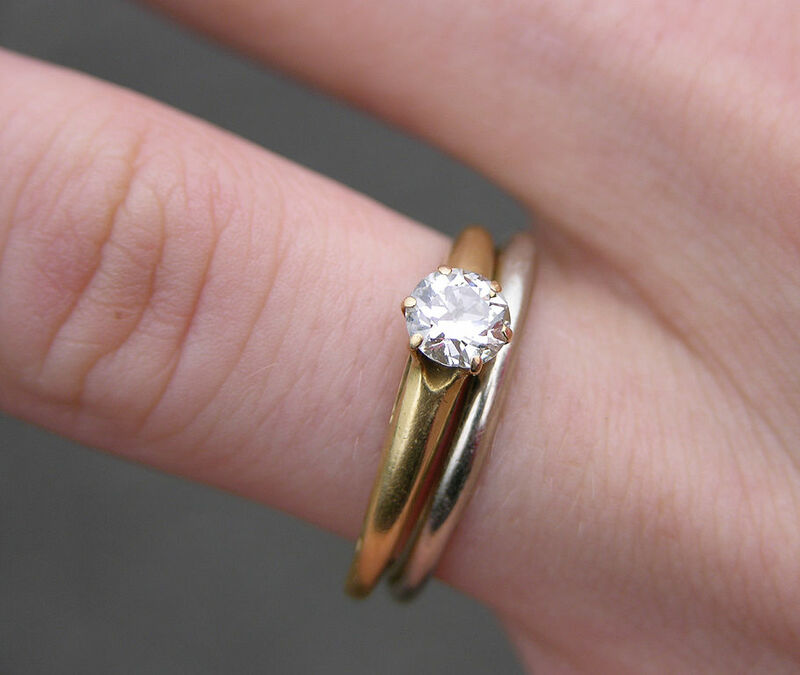 Doing this will allow him to make the adjustment quicker and easier and you won’t have to listen to his discomfort! If your living arrangements don’t allow you to get outside immediately, you may want to invest in dog diapers for in the house. While some people only use these when their female is in heat and others laugh at them altogether, they have been used effectively for housetraining. Their role is not as important in the actual housetraining, as it is to give you less cleanup of any possible accidents. While you won’t have many accidents with adult dogs, when you have them, they will be bigger than puppies. 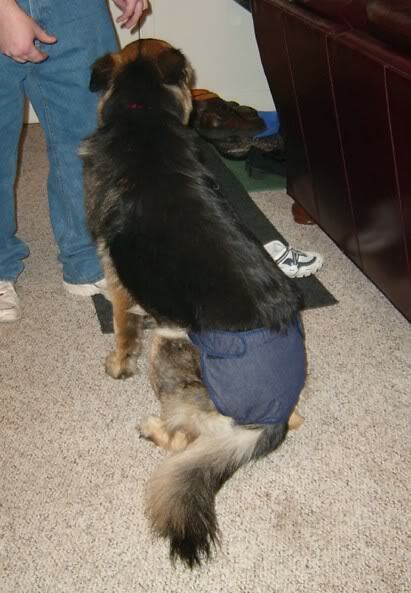 Diapers can be purchased at most stores that care dog supplies. They attach with Velcro, are machine washable and can be used with disposable liners. While housebreaking your puppy may seem like a huge job, there are ways and methods I’ve mentioned that hopefully will make it easier on you and your puppy. When the housebreaking has been successful, you and your puppy will both be happier. You will also have a dog that you can travel with and easily take to other people’s homes and know there will not be any accidents. Do not ever allow your dog to do something in your home that you would be embarrassed if he did in another’s home. If you travel and stay away from home often, the crate is a very valuable thing to own. It will make your puppy or dog comfortable away from home as well as make you feel more secure. You and your puppy or dog have started a long and loving relationship once you get past this initial beginning. I got my puppy about 3 months ago and have been going through the joy of housebreaking him. One thing you didn’t mention (or if you did, I missed it) is the “puppy pad” that you can purchase in place of traditional newspaper. Because my puppy was so small when I got him, he was not able to negotiate the stairs out to my back deck, nor was he able to actually get down onto the ground. So I decided to opt for paper training until he got a little bigger – I actually just started on “outside” training this week. I found the cloth diapers to be a pain — I don’t want to wash them with other clothes and they needs to be washed every time. I switched to disposable pet diapers from http://www.PetDiapers.com. MUCH beter. Its a Great idea! Lot of useful information I need to many more things regarding dogs. I have 2 lab pups who are caged at night with no problem and both do their ‘business’ in the morning when let out ok, but, how long should I cage them for bofore I risk leaving them out at night ? as I don’t want to keep the cage for ever !? They are just over 3 months old now. Thanks so much for sharing this article. I have a questions though. My husband and I got our puppy last week and we have been trying to train him via the “puppy pads” the problem we are having is he seems scared of the pads. I’m not sure how to even start. We both watch him like a hawk and when we see that he is “ready” we take him over to the pad and he just kind of looks at us like OK what? So if you have any tips please pass them on. I just don’t know what to do anymore. Thanks for the detail in this article. Really informative article on training dogs. Most people getting a pet don’t really bother to know the right way of doing things and then get frustrated about it. Thanks for sharing. This was a great article! I’m from Malaysia and we don’t really do the whole ‘positive reinforcement thing..We usually just go with the punishment. Which I don’t like, but I never knew any other way of training my dogs coz I learnt from my dad. He’s an old timer though, so he does it old school. I just got a toy poodle pup and he’s the most adorable thing ever, although he is really little. I want to potty train him to pee in two places. My upstairs and downstairs bathroom. That’s coz right now, he’s too little to be downstairs and running about because he can easily get lost or go outside (which is really unsafe, we have a lot of dog-nappers around, also I live near a jungle so its prone to having ticks). I am trying the paper method coz that’s the best way to do it and right now its going good since I just got him 2 days ago. He’s peeing on the paper but sometimes he makes mistakes. He pees alot though! Alot alot! Like every 5 minutes! I might need to take him for a check-up since I realised, after reading your article, that its not common for puppies to do that. Kerry: aawwwwwww, thanks!! Good luck with your new puppy, he sounds so cute!